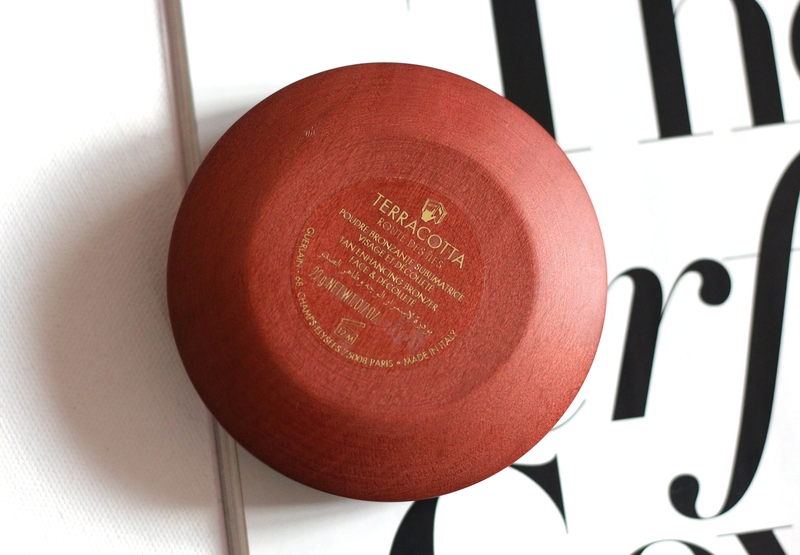 Housed in a sturdy wooden compact. Screams luxury. Environmentally sound wooden pack (using wood from PEFC approved sustainably managed forests). 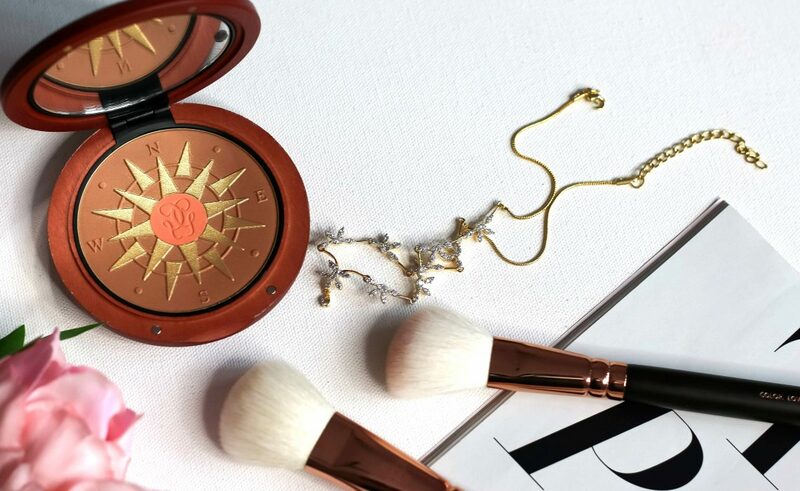 It also has a wide mirror and a two-tone powder block – combination of the best-selling Terracotta shade 03, subtly iridescent, which naturally warms all complexions, and the it-colour for summer, a slight gold shimmer apricot colour, to illuminate the tan. 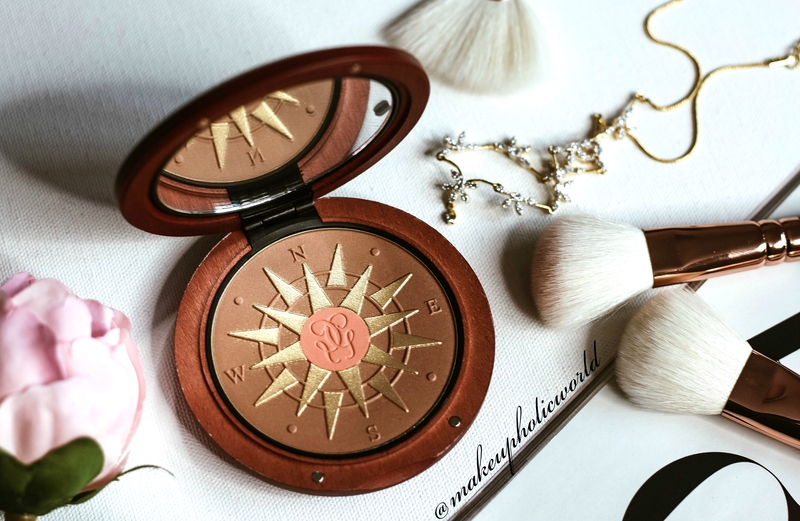 The colors can either be blended together to warm the complexion and enhance the natural radiance of the tan or applied separately to achieve the desired intensity. Retails for $72 ; You get 22g/0.7oz of product. 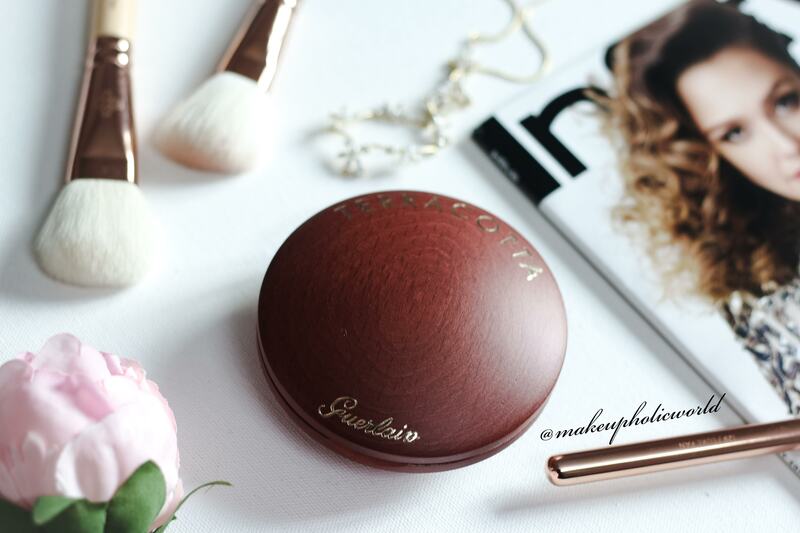 The large mirror on the inner lid comes handy while travelling and on the go touchups. 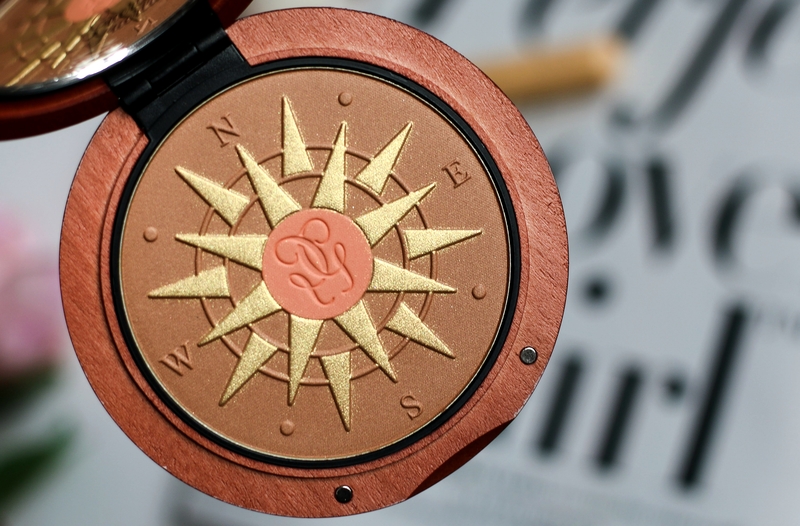 Now, coming onto it’s beautiful design embossing – The compass pattern on the surface is absolutely gorgeous, with the brand’s best-selling 03 shade making up the tanned portion, and a pop of peach/coral in the centre for that extra warmth. 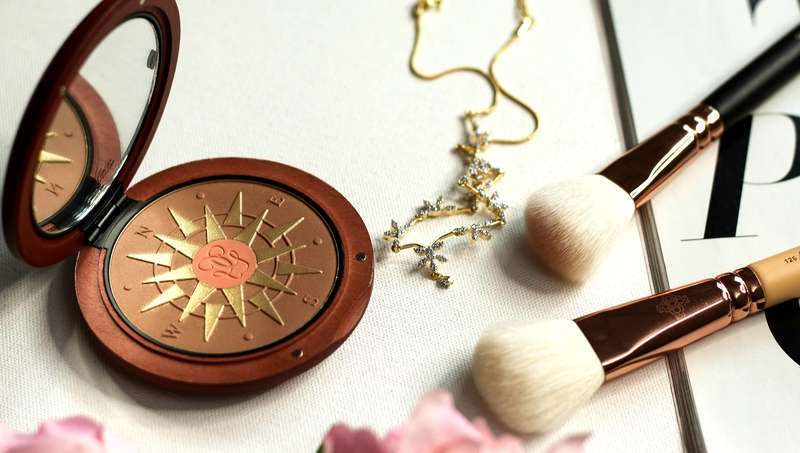 The golden ‘rays’ that you see in the picture is actually an overspray that will get wiped away within the first few uses, but somehow a touch of the shimmer does remain slightly behind. 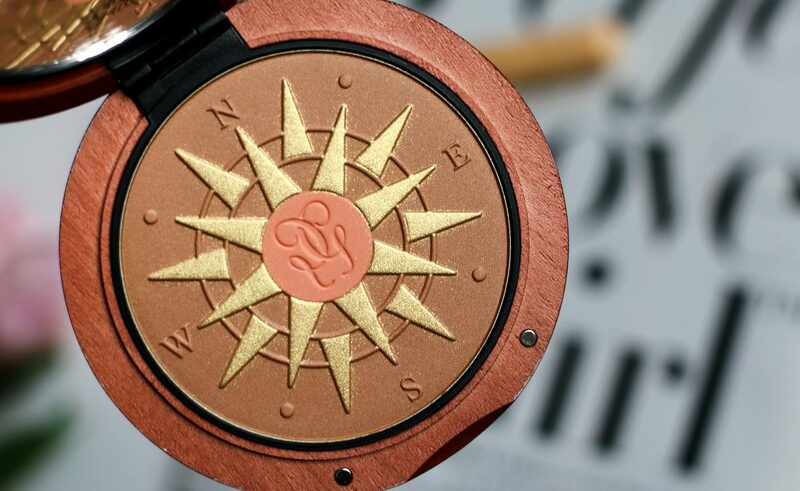 Use a brush to combine the two shades in circular movements and apply to the forehead, cheekbones and chin. 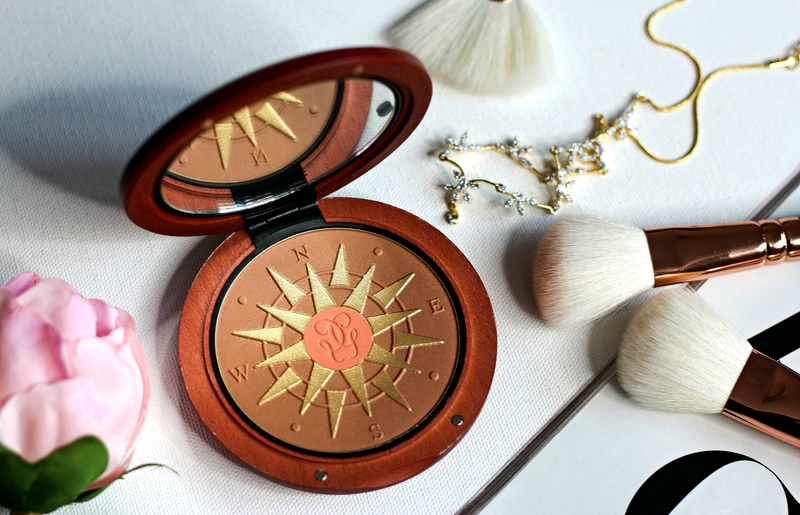 Apply the apricot shade to the apples of the cheek. For people like me with a never ending obsession for Guerlain’s seasonal Terracotta bronzer releases, the fragrance is very much recognizable. Ylang-ylang and orange blossom notes that are married to Tonka Bean and vanilla, and rounded out by white musk to form a creamy and that perfect oh-so-tropical scent. 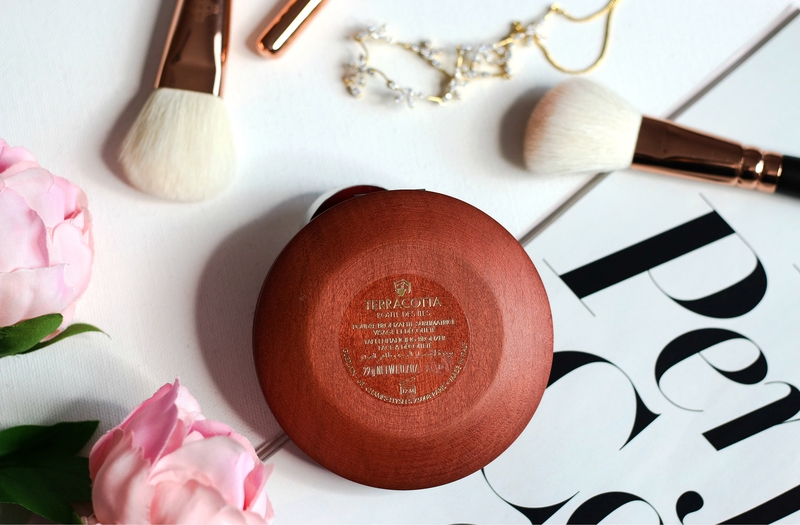 The fine-milled powder includes moisturizing properties that help your skin look its best throughout the wearing. 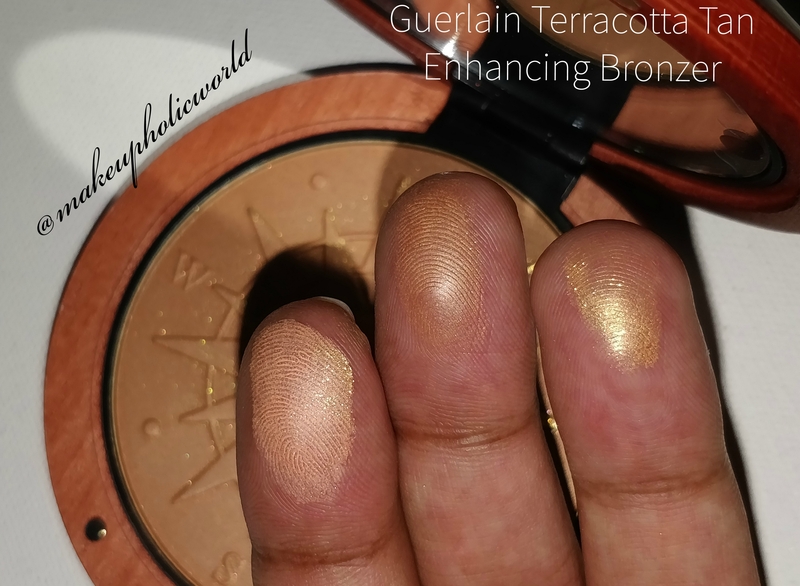 Really, how can anyone possibly resist picking this limited edition iteration of Guerlain’s iconic bronzing powder, Terracotta Route des Îles comes a luxurious yet eco-friendly compact crafted using wood from sustainably managed forests. 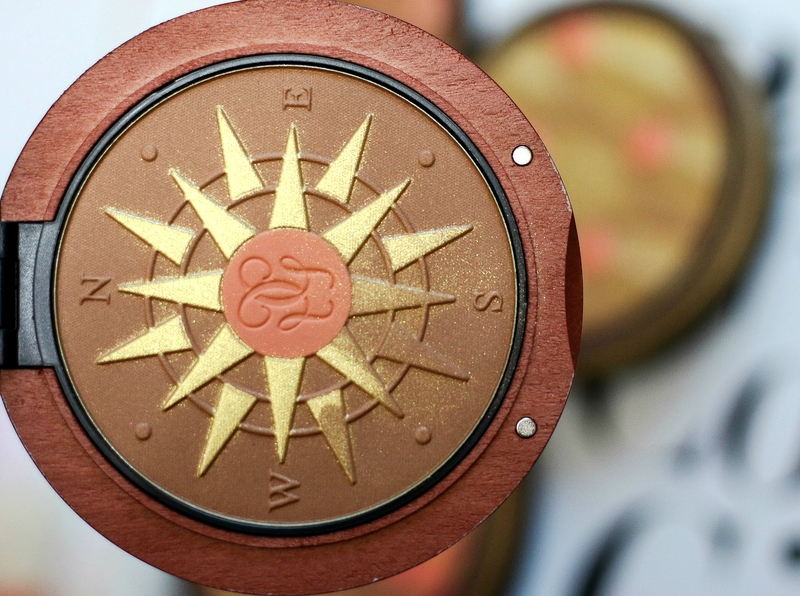 From its design to the actual product inside – It’s really one of it’s kind. 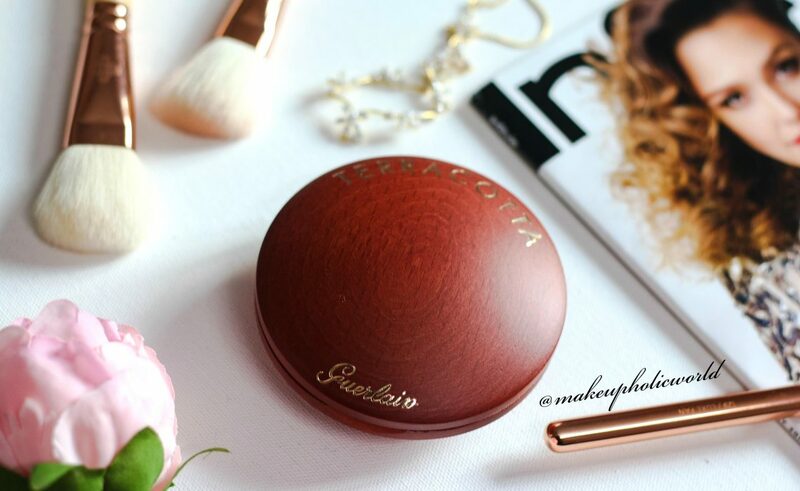 Overall, its a unique bronzing powder that gives a warm complexion with a natural glow Extra-fine texture & allows for a buildable sun-kissed glow Provides two soft colors: the famous Terracotta 03 Subtly Iridescent Shade delivers a natural tan. 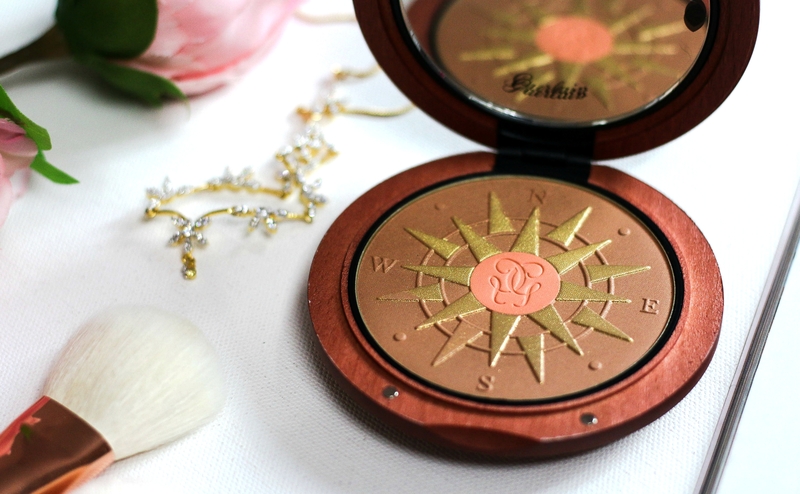 The Slight Gold Apricot adds a gentle gold shimmer to illuminate the tan. 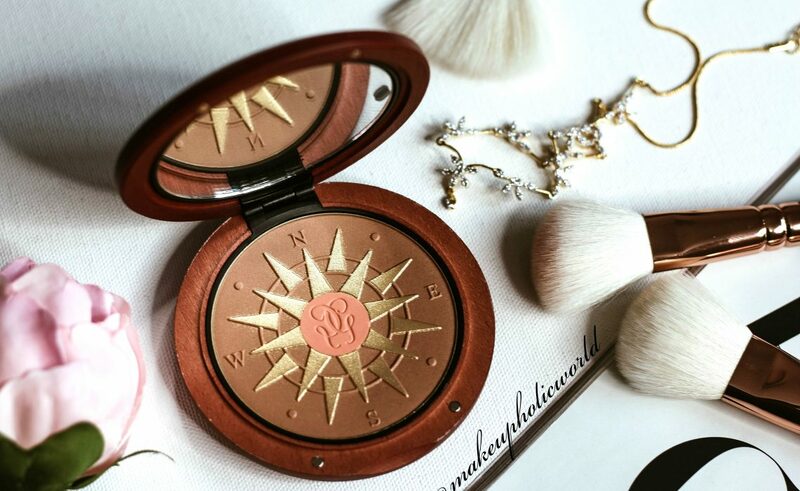 Two shades are blendable for an enhanced silky complexion or can be worn separately for a more intense effect. Stays on the skin for all day long. A collector’s item for sure!